Levels 2 & Up. All Regions DVD. 75 minutes. 18 exercises. This will be one of your favorite classes because it’s got all the “Finis” things that teachers and students want, and it’s simple enough for adult beginners. 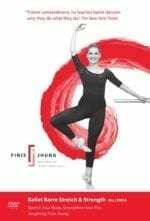 At the barre, Finis presents and explains each exercise, and while the unearthly Noriko Naraoka demonstrates, Finis stands by and coaches. In center floor, Finis shows and breaks down each exercise, Noriko demonstrates, Finis analyzes and corrects, Noriko repeats, and, when necessary, Finis gives further pointers. A real plus to this video is seeing Noriko float across the floor with utter serenity and movements that flow like silk. She really casts a spell on you. 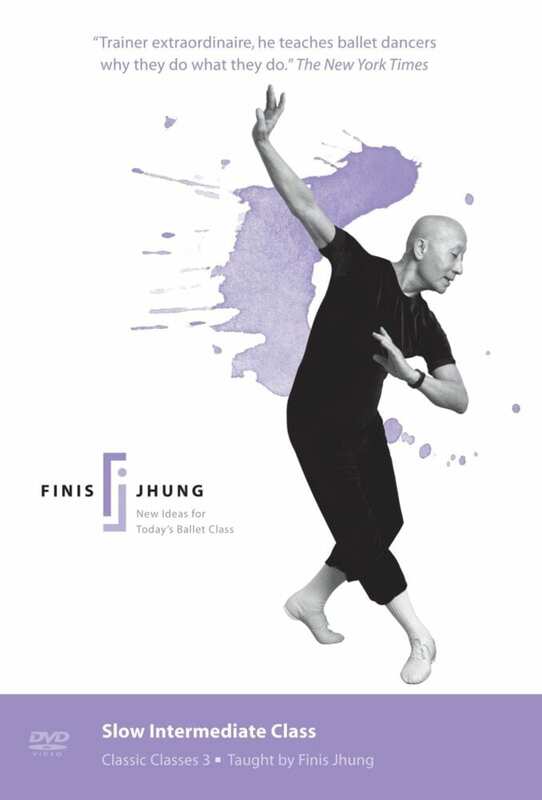 The class begins with Finis’s famous floor stretches, and then proceeds to a simply constructed barre that stretches and strengthens. In the center, Finis has designed the class to develop movement skills in different tempi as you dance your way across the floor. All exercises travel, turn, and constantly change legs and positions: from tendu and pirouettes to adagio to jumps that include assemblé, sissone ouverte to arabesque, and grand jeté. The CD music is by Scot Killian and Webster Smith.